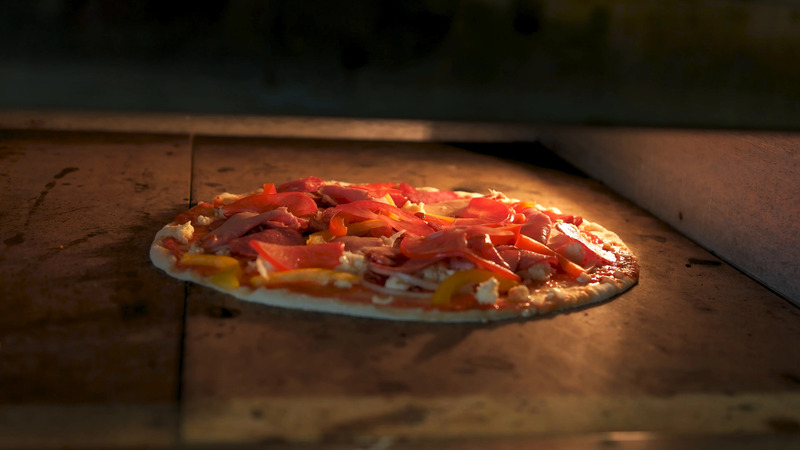 Meat Pizza In The Oven. Description: Meat pizza in the oven. Food being baked close up.